Archaeological evidence suggests that Thetford was an important tribal centre during the late Iron Age and early Roman period. A ceremonial 'grove' was uncovered there during excavations and in 1979, a hoard of Romano-British metalwork dating from the mid-4th century known as the Thetford treasure was found. Thetford is also well known for the BBC1 TV series Dad's Army, the external scenes which were filmed in and around the town and The Dad's Army Museum is located in the town's Guildhall building. There is also a stature of Arthur Lowe who played the leading character Captain George Mainwaring sitting on a park bench next to the Little Ouse river in the town. 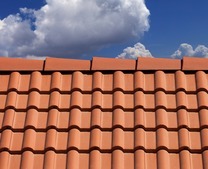 When it comes to roofs, like any part of your home, they have a habit of getting dirty. 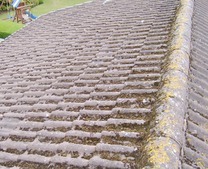 Moss, algae and lichen are common causes of an unsightly roof, but for many homeowners the concept of professional roof cleaning and moss removal is an unfamiliar one. 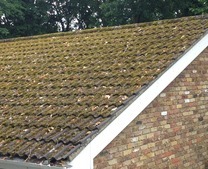 Moss on roofs is a particular problem in Norfolk particularly in Thetford. 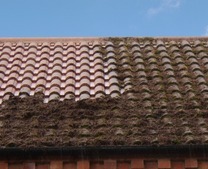 Much of the moss on the roofs on residential and commercial properties in Thetford are there because of the warm, moist environment, especially on the north and west sides of a roof. 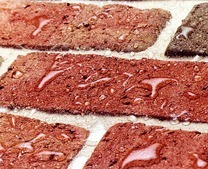 Micro-organisms populate in an abundance growing so well that they begin to be noticeable to the human eye. 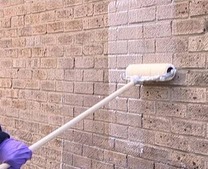 The good news is that the moss, algae, dirt and pollutants can be safely and efficiently removed by our professional roof cleaning contractors. 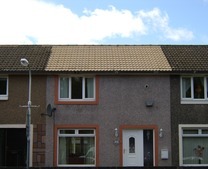 We use a very special fungicide to kill the moss, afterwards the now dead organic material is captured at the gutters as it is rinsed off the roof and hauled away for disposal. 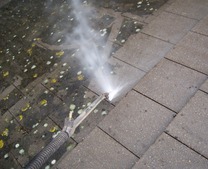 We then apply a biocide which prevents regrowth, you then have the option of one of our protective weatherproof sealers. 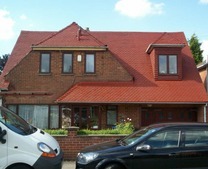 Within just a couple of hours, your roof will go from discoloured and stained to look like a brand new roof. 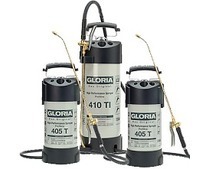 The cost of roof cleaning and moss removal is about one-tenth of the cost of replacement, couple that with the understanding that roof replacement will soon be necessary if your roof goes untreated and it just makes sense to have your roof cleaned. 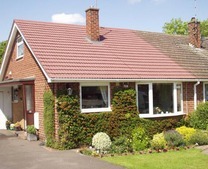 If you live in Thetford and would like a FREE no-obligation quote for roof cleaning and moss removal, please call us on 0800 849 9498 or complete our online enquiry form.